We'll e-mail you with an estimated delivery date as soon as we have more information. Your credit card will not be charged until we ship the item. Straps and loop tape closure. The SFR Essentials Pad Set is a three in one pad pack from SFR. SFR specialise in everything roller skate from quads to inline. They also produce their own line of safety gear and carrying equipment. 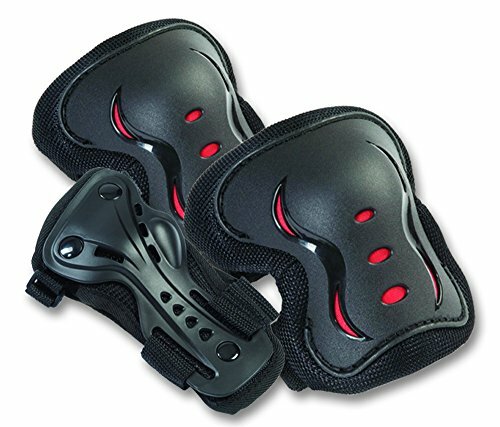 Knee, elbow and wrist guards. The SFR Essentials Pad Sets sizing are based on age ranges.